Every once in a while a game comes along that completely reaffirms my love of gaming. The recent reboot of Tomb Raider is one of those games. I had expected great things from Lara Croft‘s “rebirth” but what I got was quite a lot more awesome than I had planned. Tomb Raider is a near perfect game from start to finish and will leave you wanting more from our heroine, Lara, who finally got the game she deserves. Through the years I’ve had a love/hate relationship with the Tomb Raider franchise. Being a female myself I was instantly smitten with the idea of controlling an intelligent female protagonist. Despite her extremely short-shorts and well endowed chest, Lara had credibility as a dual gun wielding action/adventurer who became an icon in the “boys club” of memorable video game characters. Unfortunately for Lara, she was always kind of one-dimensional and through the years lacked character development and was slowly forgotten as her male counterparts progressed and became multi-dimensional. As we moved into the current generation of consoles I hadn’t given Lara much thought, that is until I started playing Uncharted Drake’s Fortune. Not only did I think, this is the game Tomb Raider should have become, Uncharted finally succeeded in giving me the female video game character I’ve been seeking. While Elena Fisher is not Uncharted’s lead, she has become as beloved as our hero and main man Drake. All of Uncharted’s characters were created with love and depth as was the gripping cinematic quality to the franchises stories. I largely credit this with Naughty Dog’s, Amy Hennig, who is the main creative director and writer to the Uncharted series. Amy Hennig is a legend in the games industry and previously worked for, Crystal Dynamics. As you may or may not know Crystal Dynamics took over development of the Tomb Raider franchise in 2003 and are also responsible for the current reboot of Tomb Raider. At one point during her time at Crystal Dynamics, Hennig wanted to reboot Tomb Raider but the task was given to someone else. Hennig eventually left Crystal Dynamics and joined Naughty Dog, and a legendary series was born. In a recent interview Hennig has stated that she was disappointed she didn’t get the opportunity to revive Tomb Raider. However, I feel Ms. Hennig is largely responsible for Lara’s growth as its apparent Crystal Dynamics took more than a few pointers from her groundbreaking Uncharted series. When we first meet the new Lara Croft, we find a young woman and recent archeology graduate about to embark on her first expedition to the Yamatai island in the Dragon’s Triangle which is off the coast of Japan. It’s here that an unsure girl will be forced to overcome a bevy of trials and tribulations that will mold Lara into the iconic heroine the character has earned. Lara and her crew set off to explore the mysterious Yamatai and the legend of its queen known as Himiko or “Sun Queen”. Legend has it Himiko had shamanistic powers in which she could control the weather. A storm is what sets off events of the adventure which leaves the crew torn apart and stranded on the strange island that is inhabited by the Solari Brotherhood, a dangerous and violent cult. Throughout Tomb Raider’s campaign an interesting and well written story unfolds but I would be doing you a disservice to elaborate on events that are responsible in transforming a young Lara who is unsure of herself into a fledgling hero, poised to take the reigns of the Tomb Raider franchise. Not only does Lara’s character develop throughout the game, her abilities are honed as well. Early on, when you are required to walk across a narrow beam, Lara is cautious and almost clumsy about it, but later she expertly finds herself able to cross similar scenarios with ease and confidence. When Lara is forced to kill for the first time, it’s an emotional moment you won’t forget and expertly conveyed by Lara’s voice actor, Camilla Ludington. Initially I played Tomb Raider on the 360, but I recently scored a free PC copy through a promotion with AMD Radeon when I replaced my video card with one of theirs. The graphics of the 360 version looks great but the PC version is stunningly beautiful. AMD created a cool little feature for the PC version called TressFX Hair, and let me tell you Lara’s hair looks fabulous! If you have a rig that will run Tomb Raider on Ultra settings, I highly recommend the PC version. However if you are interested in the multiplayer portion I’d go with a console version as the PC community seems to have less interest in MP for this game than console fans do. Speaking of MP I’ve mostly enjoyed it, which is a good thing as it was recently announced that for now, any planned DLC for Tomb Raider will be Multiplayer based. I do so hope Crystal Dynamics changes their mind on this because I would love some more single player Tomb Raider even if it’s just a few new tombs to explore. 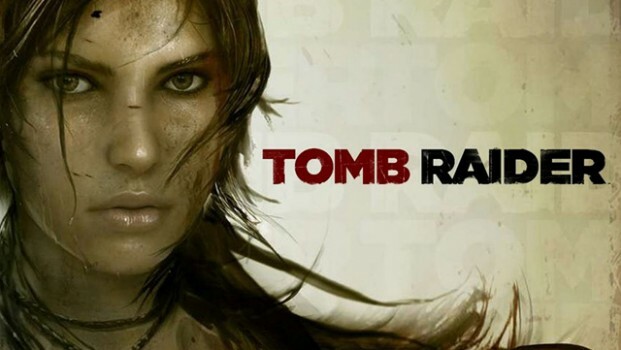 Tomb Raider is available now for the Xbox 360, PS3 and PC. It was developed by Crystal Dynamics and published by Square Enix. I can’t recommend this game enough, it is truly an epic experience. Look out The Last Of Us and Bioshock Infinite, a “contender is born”.